We’d love your help. Let us know what’s wrong with this preview of The Ghosts of Faithful by Kaye Park Hinckley. 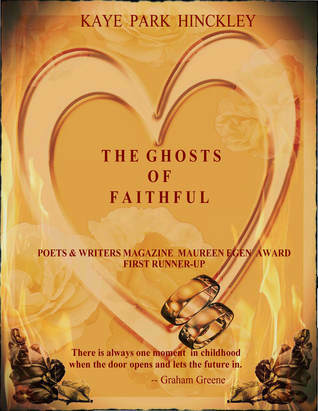 When The Ghosts of Faithful won First-Runner-up for Poets & Writers Magazine’s Maureen Egen Award, it was a novel in progress. Now it is finished and will be my seventh published novel, due out by the end of September, 2018. 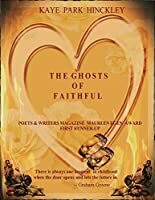 Here’s what Victor La Valle, author, Professor at Columbia, and Judge of the contest had to say about it: “Faithful suggests a broad canvas–a well- When The Ghosts of Faithful won First-Runner-up for Poets & Writers Magazine’s Maureen Egen Award, it was a novel in progress. Now it is finished and will be my seventh published novel, due out by the end of September, 2018. To ask other readers questions about The Ghosts of Faithful, please sign up. Advance Review Copy kindly provided by author and Goodreads friend Kaye Park Hinckley. This new novel by Kaye Park Hinckley is part ghost story and part murder mystery with a dash of romance added in. In the little town of Faithful, several generations of Izzy Collier's family are living with secrets and rubbing shoulders with the supernatural. The gift of second sight seems like an inherited trait for certain members of the family who take it in stride as if it is normal. However, for others it Advance Review Copy kindly provided by author and Goodreads friend Kaye Park Hinckley. In the little town of Faithful, several generations of Izzy Collier's family are living with secrets and rubbing shoulders with the supernatural. The gift of second sight seems like an inherited trait for certain members of the family who take it in stride as if it is normal. However, for others it is deeply upsetting and causes them to question the sanity of those who see these apparitions. This is brought home to Izzy when she begins to see the ghost of a long-dead grandfather, who is inexplicably accompanied by the ghost of a child. Why are they here and what do they want with the living? The ghosts cause the members of Izzy's family to dig up secrets which were long thought buried. This book grabs you at the beginning and doesn't let go until you've finished. Even then, it will stay with you. Right at the beginning of the book, you find out that Izzy has a secret that she is keeping from her husband App. The good thing is that you don't have to wait until the end of the book to find out what the secret is. All of the Shirley women have a secret...and their husbands do as well. Add Izzy being able to see dead people and you have quite a story. Cornelia, Izzy's sister, seems This book grabs you at the beginning and doesn't let go until you've finished. Even then, it will stay with you. Right at the beginning of the book, you find out that Izzy has a secret that she is keeping from her husband App. The good thing is that you don't have to wait until the end of the book to find out what the secret is. All of the Shirley women have a secret...and their husbands do as well. Add Izzy being able to see dead people and you have quite a story. Cornelia, Izzy's sister, seems to have it all together, but the reader discovers that she is a "dishrag" at the beginning of the book. The reader sees her grow as her character develops. The best thing about this book is that there are no "nudie" scenes. It's rare to find a book that leaves some things to the readers' imagination. I will definitely be reading more! Izzy doesn't believe, at first, that her grandmother is seeing a ghost -- until she experiences it herself. Opening the door to that possibility allows her to be open to finding a resolution to a long-regretted act, and to figuring out how a long-buried family secret holds the key to a present-day murder. Not your usual ghost story, Kaye Park Hinckley's Southern Gothic novel takes place during a single week -- Holy Week -- and follows a family haunted not only by ghosts, but by each family member Izzy doesn't believe, at first, that her grandmother is seeing a ghost -- until she experiences it herself. Opening the door to that possibility allows her to be open to finding a resolution to a long-regretted act, and to figuring out how a long-buried family secret holds the key to a present-day murder. Not your usual ghost story, Kaye Park Hinckley's Southern Gothic novel takes place during a single week -- Holy Week -- and follows a family haunted not only by ghosts, but by each family member's secrets, betrayals, and regrets. Acts of unspeakable violence, in the past and the present, are connected by the ghosts whose mission seems to be to enact justice, even when everyone's lives, careers, and marriages seem to be falling apart.